Catherine Jacobson, a former chairwoman of the Healthcare Financial Management Association, has been named executive vice president for finance and strategy at Froedtert & Community Health, Milwaukee. Jacobson, 47, will also serve as chief financial and strategy officer at the two-hospital academic medical center, effective Sept. 1. She replaces Blaine O'Connell, senior vice president for strategic planning and finance and CFO, who plans to retire at the end of the year. 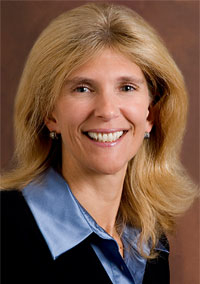 Jacobson leaves a position as senior vice president of finance and CFO at two-hospital Rush University Medical Center, Chicago. She has served on the board of directors of the HFMA since 2004, and was elected to a one-year term as chairwoman of the board that ended in June.